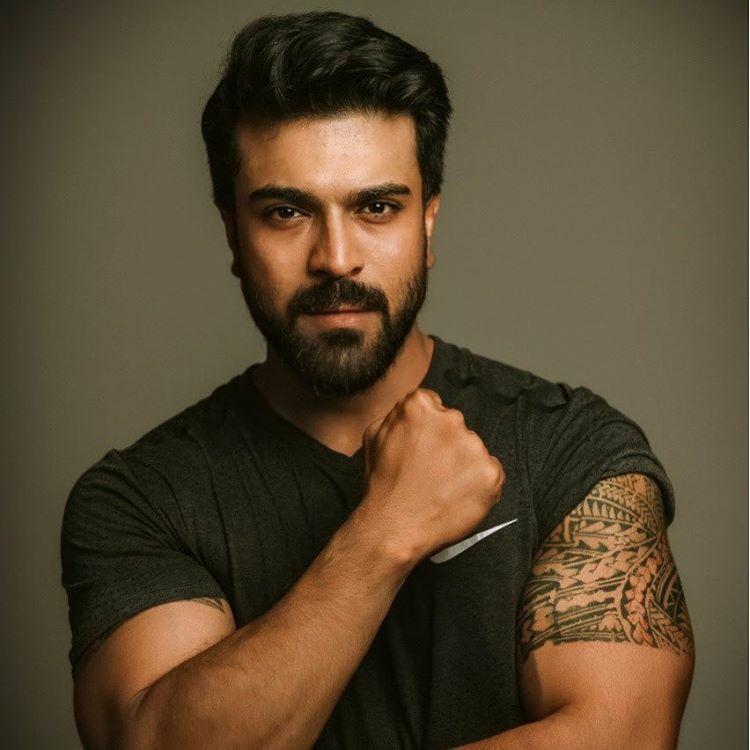 Telugu Superstar Ram Charan Tej who tasted success with Rangasthalam Movie in 2018, is awaiting the release of his upcoming flick, Vinaya Vidheya Rama Movie which is directed by Boyapati Srinu. The Mass commercial entertainer Vinaya Vidheya Rama Movie Release on theatres 11th January 2019. 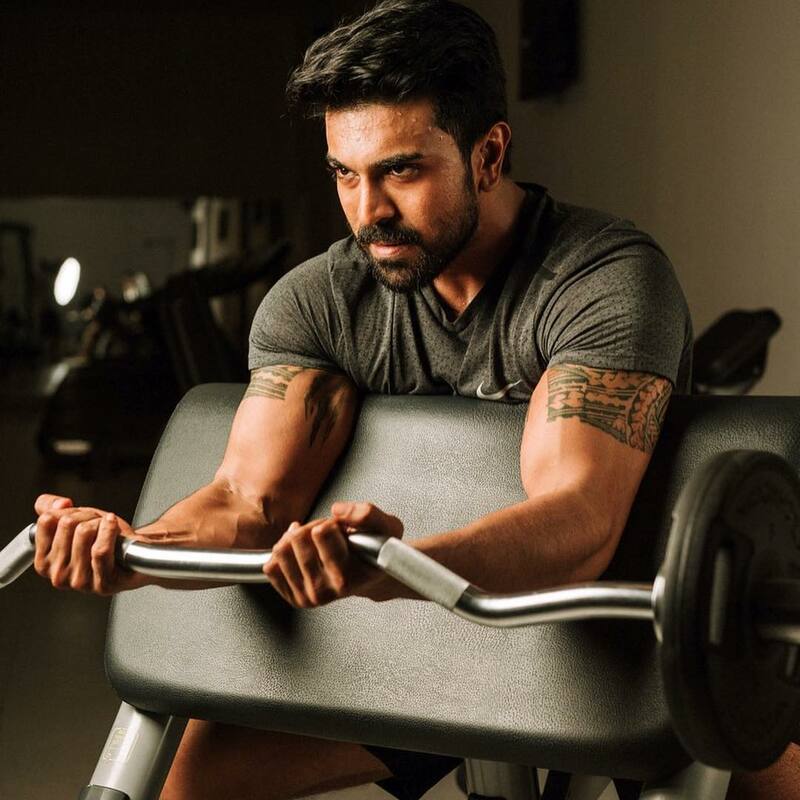 Mega Power Star Ram Charan Tej has undergone a complete physical transformation for his role in Vinaya Vidheya Rama. 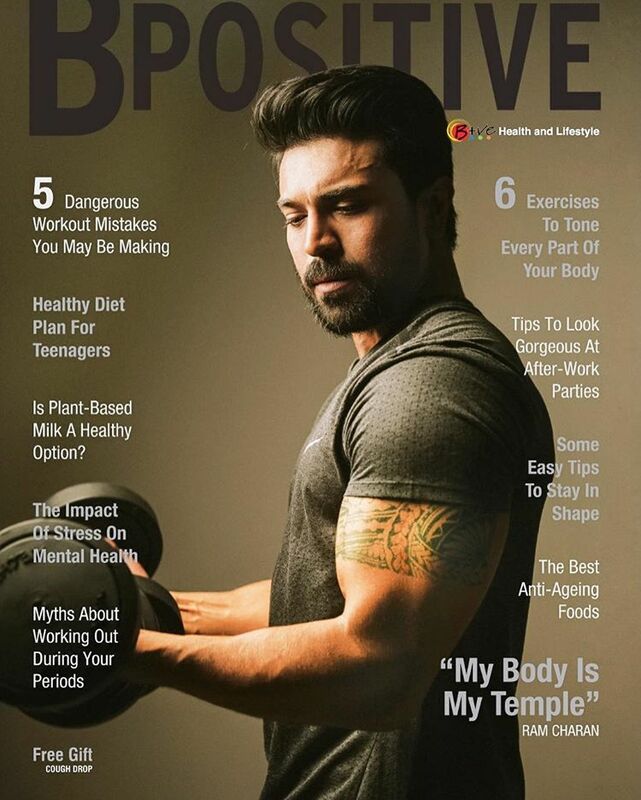 Actor Ram Charan has shed a lot of weight and looks extremely fit now. 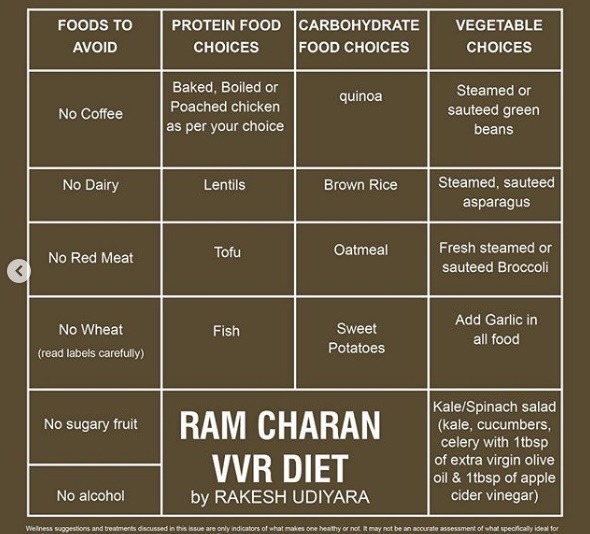 Celebrity trainer Rakesh Udaiyara came up with an elaborate plan for Ram Charan Body Transformation Diet. 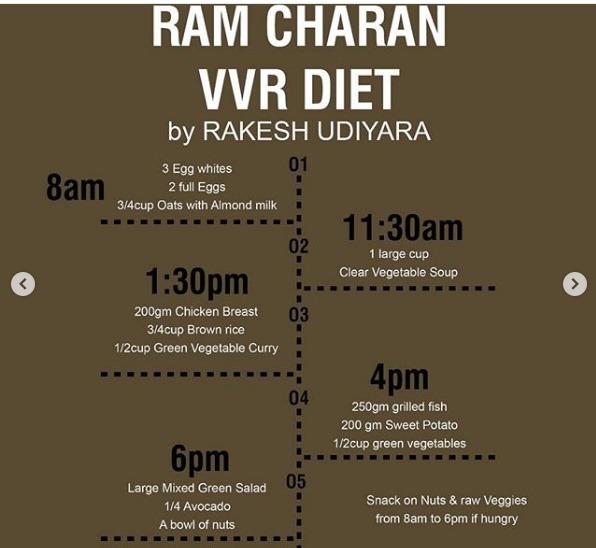 Ram Charan wife Upasana Kamineni took her Instagram to share the details of the diet and exercises that Ram Charan followed to achieve a perfectly toned body. 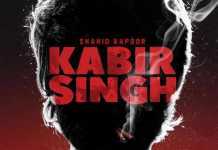 And it required him to fast for 12 hours and his trainer asked him to stay away from dairy, alcohol and red meat as well. 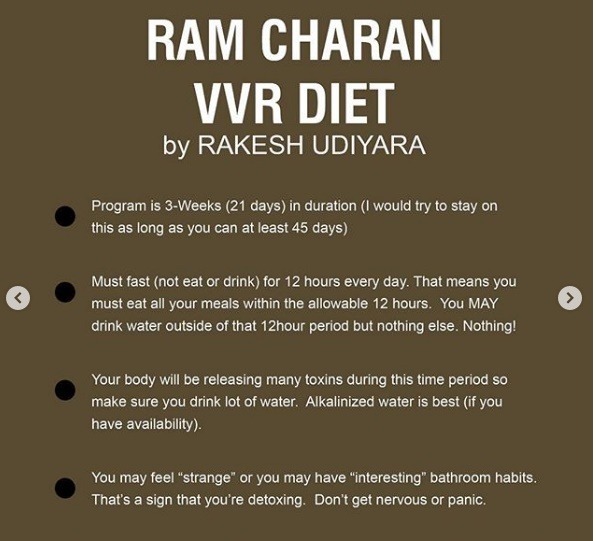 The diet program was devised for three weeks, but it works best if people try to follow it for at least 45 days, according to Rakesh Udaiyara. 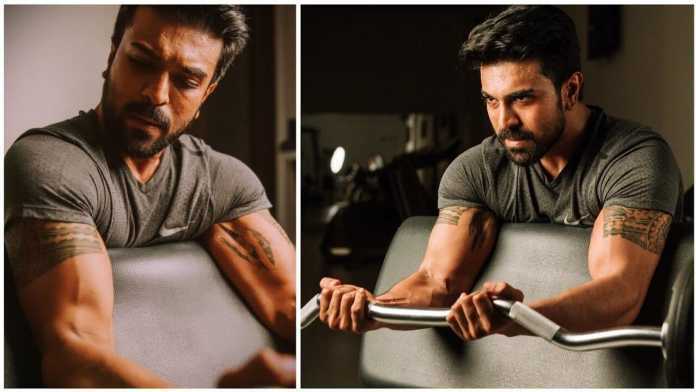 Upasana Kamineni also wished Ram Charan’s fans a Happy New Year 2019 with a few workout tips. She posted a photo of the Ram Charan, which went viral on social media.